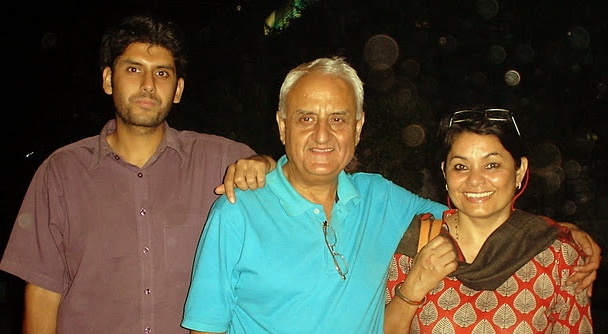 Here’s the latest report of the Southasian journey undertaken recently by my friend, civil rights activist, writer and journalist (editor Himal Southasian) Kanak Mani Dixit, his wife Shanta (a teacher) and son Eelum (an actor, and yes, his name derives from ‘ilm’ which means knowledge, named by his dada, Kanak’s father who is a prominent writer). 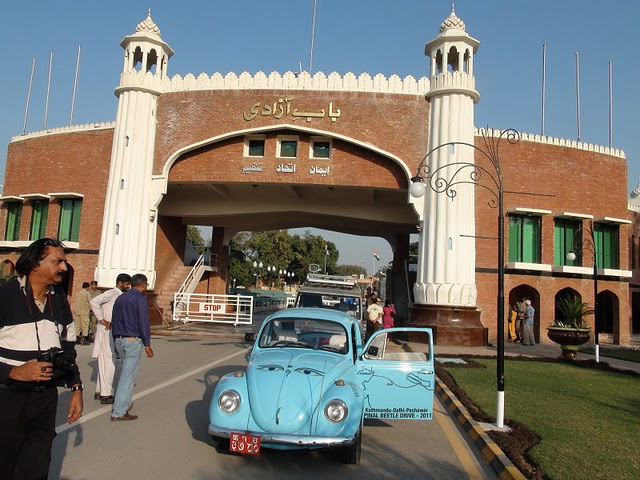 DATELINE: PESHAWAR, KHYBER PAKHTUNKHWA, PAKISTAN, 17 November 2011: The ‘Great Nepal-India-Pakistan Spinal Beetle Drive’ arrived in Peshawar on 16 November, ending a 1100-mile odyssey that took the 1973 VW Beetle from Kathmandu through Lucknow, Agra, Delhi, Amritsar, Lahore, Islamabad and Rawalpindi. “It was an exhilarating journey across the friendly landmass of Southasia, and I hope a pointer towards easy land-crossings for people from all our countries. Most of our journey was along the Grand Trunk Road, built originally by Sher Shah Suri in the 16th century. The 21st century demands that we open this highway for the people, commerce and ideas to flow,” says Dixit. 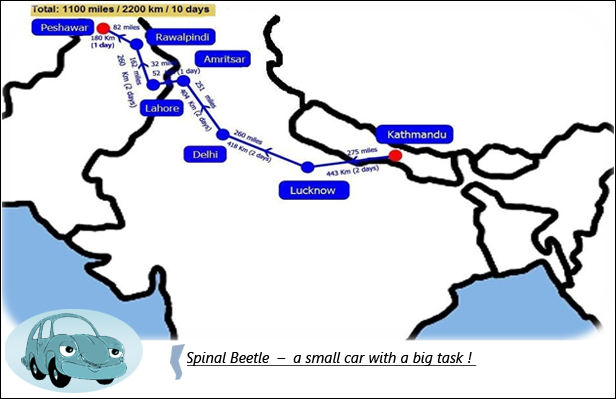 The journey of the sky-blue Beetle was conducted with three goals: promoting ‘land connectivity’ in Southasia, developing links between spinal injury institutions across the Subcontinent, and raising funds for the Spinal Injury Rehabilitation Centre in Nepal. 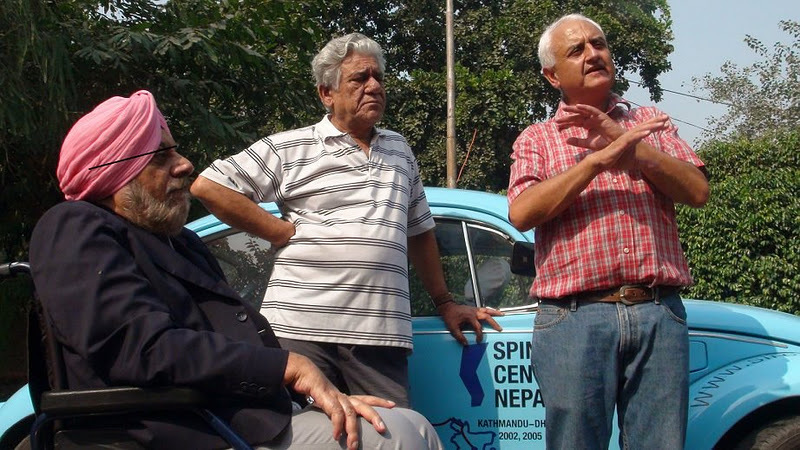 As for the goal of raising emergency funds for the Spinal Centre-Nepal in order to cope with sudden rise in demand for its services, they raised a little over half of the USD 110,000 goal. 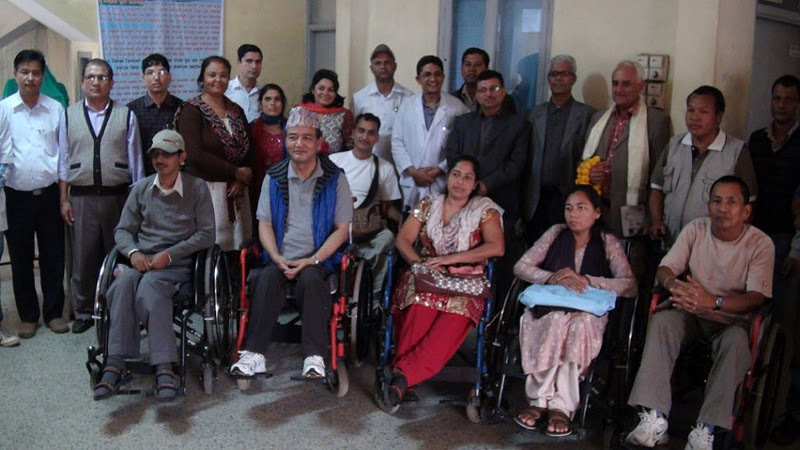 “We hope to complete our goal through a retroactive campaign because the spinally injured of Nepal badly need support,” said Dixit. H.E. 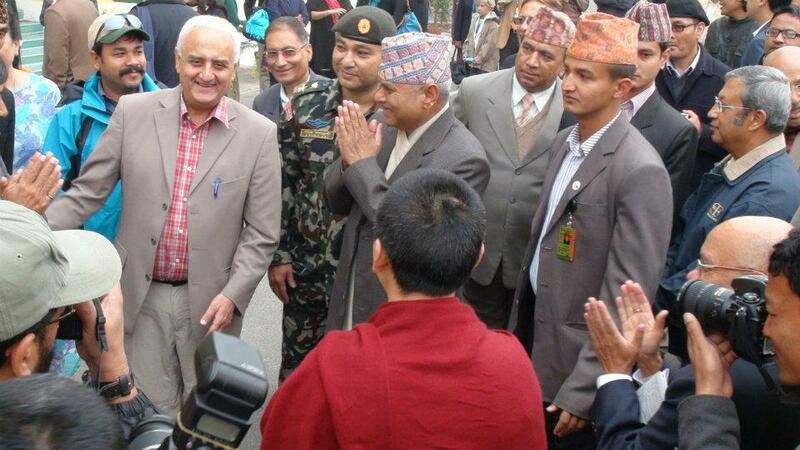 President Ram Baran Yadav of Nepal flagged off the Spinal Beetle drive on 4 November. In New Delhi, it was received by Maj. H.P.S. Ahluwalia, founder of ISIC, as well as journalist Kuldip Nayar and actor Om Puri. The physicist and peace activist A.H. Nayyar received the Spinal Beetle at the Wagah-Atari border. Throughout the Southasian drive, the team was graciously hosted by members of the Pakistan-India People’s Forum for Peace and Democracy (PIPFPD) and other organisations, such as the Indian Doctors for Peace and Development in Agra, and Asha for Education in Lucknow. • The Spinal Beetle team responded to the request of 96-year-old Barkat Singh ‘Pahalwan’ of Jalandhar (Indian Punjab) that some earth be collected from his childhood village of Fatehgarh near Sialkot (Pakistani Punjab). 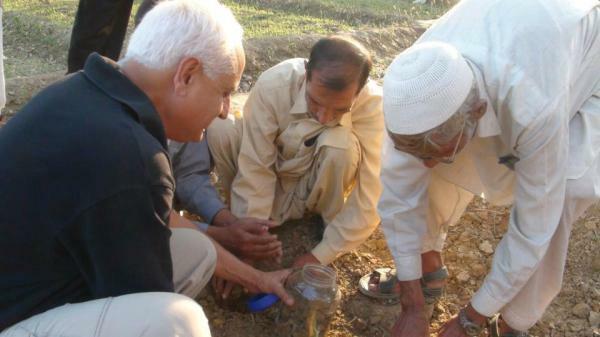 Taking a detour from the GT Road, the team found the place, which had now become an urban suburb of Sialkot, and collected a jarful of agricultural earth for Barkat Singh. • Having started in the Lumbini region of Nepal, where the Sakyamuni Buddha was born more than 2500 years ago, the Spinal Beetle ended its journey in the Gandhara region around Peshawar, a vast centre for Buddhist learning, art and architecture where the Sakyamuni was first etched in human form a few centuries later. In the Potohar Plateau near Islamabad, the Spinal Beetle visited the gigantic Buddhist stupa at the village of Manikyal. • Arriving in Agra, the Spinal Beetle visited the Taj Mahal on the day of Eid ul-Azha. It arrived in Amritsar and visited Harminder Saheb (the Golden Temple) on the Guru Nanak’s birthday. Passing Gorkha District of Nepal (named after the Gorakhnath temple situated there), the Spinal Beetle traversed Gorakhpur, the base of the Nath sect, and ended its journey in Peshawar where the team visited the Gorakhnath Temple there, opened only a month ago after 60 years of closure. The Delhi-Amritsar leg of the journey was started with a visit to the dargah of Hazrat Nizamuddin Aulia. • In New Delhi, Maj. H.P.S. Ahluwalia of ISIC suggested setting up a Southasian network for spinal injury rehabilitation, given the specificity of the need. There was an enthusiastic response to this idea throughout the rest of the trip all the way to the Paraplegic Centre in Peshawar. • At the Mayo Hospital in Lahore, the Medical Superintendent Dr. Zahid Pervaiz and Head of Rehabilitation Medicine Dr. Waseem Iqbal provided information on spinal injury and trauma response that had been developed in Pakistan. They graciously offered four-year full fellowships for two doctors from the Spinal Centre-Nepal. 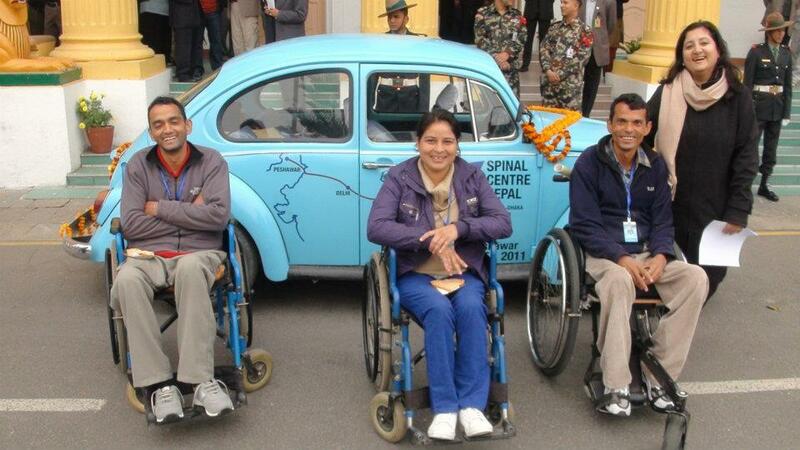 More on the Spinal Beetle drive: The sudden rise of the number of patients over the last year has forced the Spinal Centre-Nepal to raise its service from 39 beds to 51. 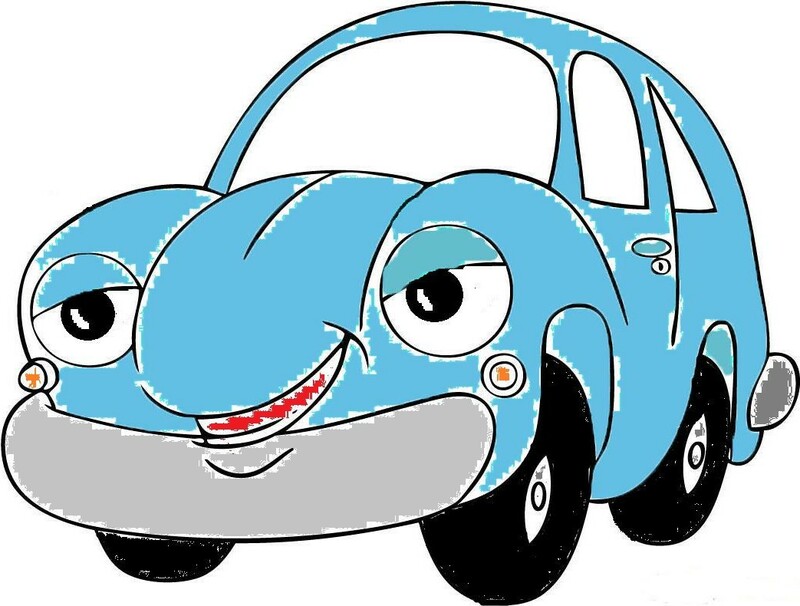 We seek to raise USD 110,000 from the 1100 mile journey of the Spinal Beetle, at the ‘rate’ of USD 100 per mile from friends and supporters worldwide. By the time the Spinal Beetle arrived at Peshawar on 16 November, a little over half that amount had been raised. The Spinal Beetle Rally is also an effort to raise awareness of spinal injury prevention, rescue, care and rehabilitation in the Subcontinent. The Spinal Beetle has done the Kathmandu-Dhaka stretch twice, in 2002 and 2005, and touched base at the Centre for the Rehabilitation of the Paralysed (CRP) in Bangladesh. The CRP would be a key institution in the networking of spinal injury rehabilitation institutions that is proposed.